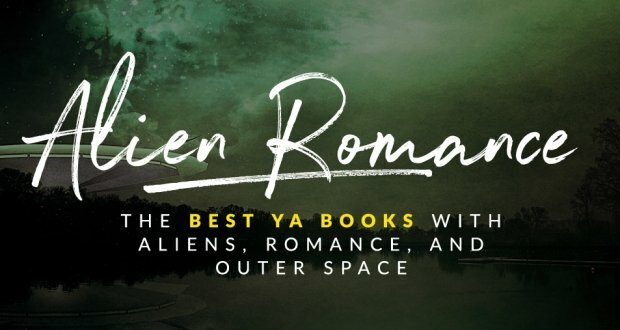 Many YA books fall under the fantasy category, but while that might seem unnecessary for the reader who’s not well-acquainted with the fantasy genre (is it really elves and wizards and evil lords over and over again? 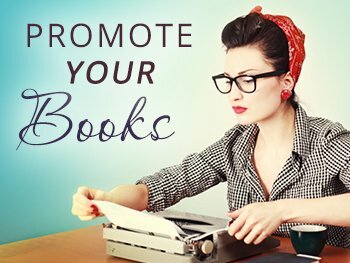 ), you’ll be glad to know that fantasy – and YA fantasy, in this case – is filled with a variety of storylines, people, wonderful worlds, and magic systems, that makes each book a fresh fantasy experience to read. 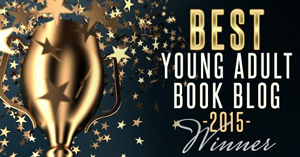 And 2016 was one of the biggest years for YA fantasy, from excellent sequels to amazing endings to awesome new series, to prequels and companion novels and so on and so forth! 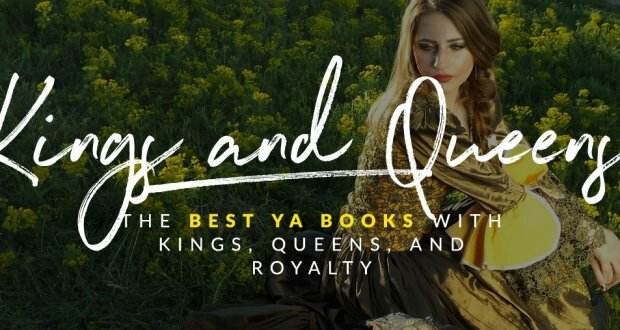 It’s pretty exhausting to simply list down all fantasy novels that went out in 2016, so we’re giving you the best YA fantasy books that came out in 2016! If you haven’t read some of them, or their prequels, give them a spin! The large, extremely dangerous heist that Kaz Brekker and his friends have managed to pull off has given them a large reward. But they’re not dividing it up like they should be, and instead are back to fighting for their lives. Because they’ve been betrayed and badly weakened, and their crew is running low on everything – resources, allies, and hope. Now powerful forces around the world are in Ketterdam to root out the secrets of the dangerous drug, jurda parem, while old rivals and new enemies come out to test Kaz and his team’s already-fragile loyalties. 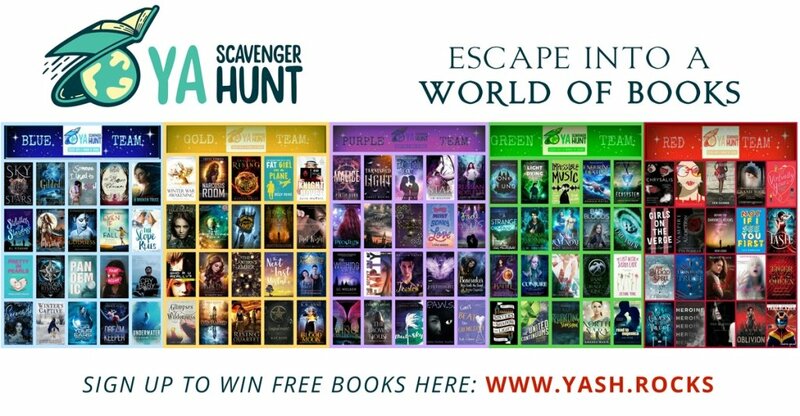 A war will be waged on the city, and in the dark and twisting streets, battles for revenge and redemption are being carried out, to decide the fate of the Grisha world. There’s no doubt that Mare Barrows is of common stock. Her blood, after all, is red – the color of commoners’ blood. But she has the Silver ability to control lightning, and now the royal court has taken on the opportunity to try to control her. She shouldn’t exist, she should be a fake – and the crown knows how anomalous Mare is. Mare tries to make her escape from the crown’s clutches with the help of Prince Maven, her friend – but his loyalties waver and he betrays her. The pursuit of Mare continues, led by the now vindictive King Maven. 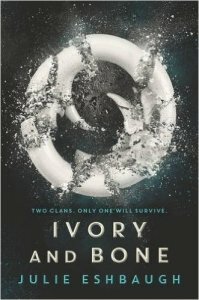 But Mare has help on her side, as she discovers a startling truth: that she’s not alone, that she’s not one of her kind. And she needs to recruit the other Red-and-Silver fighters to help her against the oppressors. But the path is deadly and puts Mare at risk of becoming the monster she doesn’t want to become. Her actions weigh on her shoulders, and the lives at the cost of the rebellion threaten to add to this weight. But perhaps treachery and betrayal have hardened her forever. 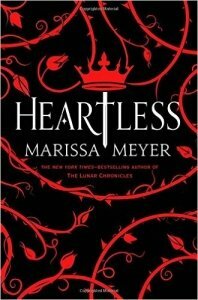 The terrible Queen of Hearts was at one time just a girl named Catherine, and she just wanted to fall in love. And others were in love with her. The unmarried King of Hearts has his eyes on her, but Catherine’s heart is already elsewhere – the art of baking. 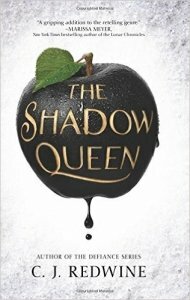 All she wants is to open a shop with her best friend, but her mother tells her that it’s a goal that’s unthinkable for a young woman who could one day become the queen. Then she meets the handsome court joker, Jest, and finally Catherine begins to feel the first pull of attraction. 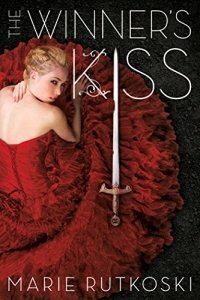 She risks the fury of her king and her parents, but Catherine falls headlong into a courtship with the joker, determined to define her own destiny, fall in love with someone who deserves her love. But the land is alive with magic, the world thriving with madness and monsters, and fate has other plans for the young woman. Martial soldiers are after fugitives Laia and Elias. After the events of the Fourth Trial, the two are desperate to escape the grip of their pursuers, as they flee to the city of Serra and go on a dangerous journey to the heart of the Empire. Because Laia’s resolved to break into Kauf, the Empire’s most secure prison, housing the most dangerous people. Her brother is inside, and he alone holds the key to the Scholars’ survival. Elias is determined to see to Laia’s success, even if it means risking his own freedom. But darkness is around, and Laia and Elias are being engulfed in it. The two have to fight every step of the way, outsmarting their enemies and moving closer and closer to their goals. Because the bloodthirsty Emperor Marcus, the merciless Commandant, the Warden of Kauf, and Helene – Elias’s former friend and the newest Blood Shrike of the Empire – are absolutely willing to see to it that the two do not get to their destination. And Helene, who faces her own torturous task, a task that could destroy her, needs to find the traitor Elias Veturius and the Scholar slave who had a hand in his escape. Because she has to kill them both, and mercilessly. Shahrzad once believed her husband Khalid, the Caliph of Khorasan, to be a monster, but the truth is that he is being tormented by guilt a powerful curse – a curse that might keep the lovers apart forever. The land is on the brink of war, and Shahrzad, forced away from her husband, is reunited with her family, who have taken refuge with Khalid’s enemies, along with her childhood sweetheart Tariq. 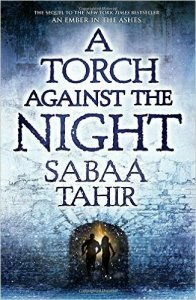 Her father Jahandar plays with magical forces whose strength and power he doesn’t yet understand. Tariq, meanwhile, commands his own forces that are out to destroy Khalid’s empire. Shahrzad’s loyalties are tested – between the people she’s with and the husband that she has, but she refuses to be a pawn and devises a plan – a plan that, with the help of a tattered old carpet and a sage young man, will help her break the curse and reunite her with her one true love. In the desert nation of Miraji, mortals rule. Outside, however, are mythical beasts still roaming the land, and mysterious djinn still performing their magic. It’s a dangerous place for humans, especially for poor, orphaned, female humans. And Amani Al’Hiza happens to be all three. She’s skilled and is gifted with a perfect aim, but it seems that she’s fated to stay in Dustwalk, the back-country town where she’ll either be wed or be dead. 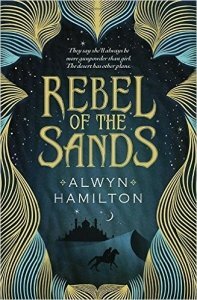 But her skill in shooting gives her the opportunity to meet the rakish foreigner Jin, whom she begins to see as a ticket out of Dustwalk – a ticket that she didn’t expect, as she gallops away on a mythical horse and is introduced to the strange heart of the desert she thought she knew well. Lada Dragwlya and her brother Radu were wrenched from their homeland Wallachia and abandoned by their father. Raised in the Ottoman courts, Lada grows up brutal and ruthless. She and her brother are expected to act as pawns in a game, an invisible sword hovering above their necks, their lineage both a curse and a blessing. Lada is only biding her time until the day when she can finally exact revenge against the Ottomans and claim her birthright. Radu, meanwhile, only wants a place where he can finally feel safe. When they meet the defiant and lonely Mehmed, the son of a sultan, Radu feels like he has made a true friend, and Lada wonders if she’s finally found someone she can be passionate about. But Mehmed is the heir of the enemy, the empire that Lada has sworn to fight against – the empire that Radu now considers home. 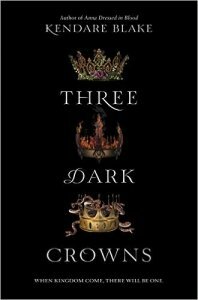 Now the three must test their loyalties against each other, and challenge the toxic bonds constraining themselves, as family, as friends, and as royalty. The world is changing, in the throes of a war that has just begun. East is pitted against West, and the lives of many are on the line. In the middle are Arin and Kestrel, former lovers who are now caught in the escalating tensions of those involved in the conflict. Arin has made untrustworthy new allies, and the empire is against him. Kestrel, meanwhile, is a prisoner in a brutal work camp, desperately searching for a way to escape. Arin believes he doesn’t love Kestrel anymore, and couldn’t forget how she had become the kind of person he despises, caring more for the empire than for the people. But Kestrel, in her prison, only wants to let Arin know how much she has sacrificed for him, and wishes that she could make the empire pay for what they’ve done to her. But wishes don’t simply come true, and with the war going on, so much is at stake for Arin and Kestrel, that winning seems like an impossible outcome. Safiya is a Truthwitch, which gives her the ability to discern truths from lies. It’s a skill that many would love to have on their side, especially amongst the scheming and cunning nobility, the class to which Safi was born. 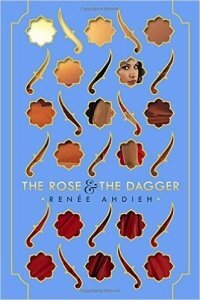 Safi needs to keep her gift hidden, however, if she wants to avoid becoming a pawn to others, especially where the struggle between empires is involved. Iseult, meanwhile, is a Threadwitch, and can see the invisible ties binding the lives around her – but she cannot see the bonds that are entangled with her own heart. She is an outcast, whose life changes when she meets and becomes friends with Safi, the one who takes her into a reckless adventure, the one who balances her coolness with a hotheaded impulsiveness. 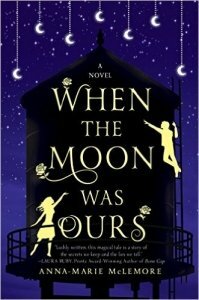 The two just want to live their own lives, but the fate that’s taken hold of the Witchlands won’t let them. 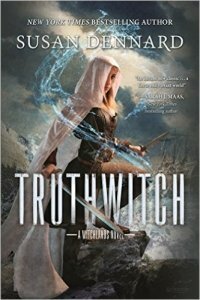 A war is coming, and with the help of the windwitch Prince Merik, the two must fight everyone – from emperors, to princes, to mercenaries, and even a vengeful Bloodwitch – who will do everything to get their hands on a Truthwitch. There’s only one mission that matters: to kill the wicked queen who wrenched the Ravenspire throne from the true heir. And Lorelai Diedrich, crown princess and fugitive, whose father was taken away from her, wants to do just that. 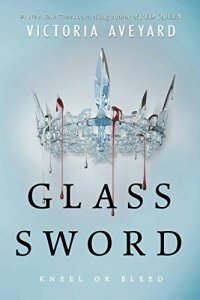 She knows what she needs to do – to use magic, the one weapon she and the wicked Queen Irina have in common. But she has to be stronger, better, faster, and more powerful – because Irina is the most dangerous sorceress Ravenspire has ever seen. 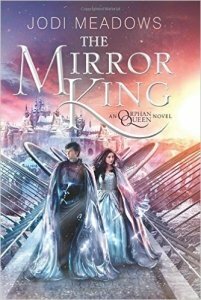 And the chaos is not limited to Ravenspire – in the neighboring kingdom of Eldr, Prince Kol, whose father and brother are killed by magic-wielding ogres, suddenly finds himself responsible for saving the kingdom. And the only way Kol can do that is to have magic on his own – magic that he can get from the Queen of Ravenspire, but under one condition: he has to bring her Lorelai’s heart. But there is one problem: Kol finds himself inexplicably drawn to the beautiful and fierce Lorelai, and his mission and his loyalty are suddenly wavering, while Lorelai’s determined to continue and fight. 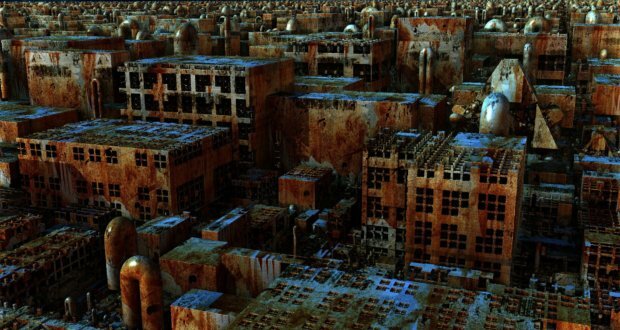 Ruina has been ravaged by war. 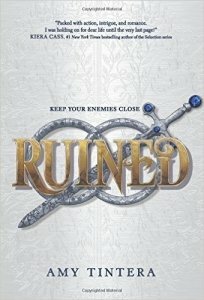 Emelina Flores, a Ruined girl – one lacks any ability to work magic – is determined to get revenge on the people who killed her parents and kidnapped her sister. The plan is already laid out: she will pose as the crown prince’s betrothed, and infiltrate the enemy kingdom. Once there, she will lead an ambush and kill the king and everything he holds dear, including the prince. But when she does get to the prince, Em begins questioning her mission more and more, as her hateful heart softens. 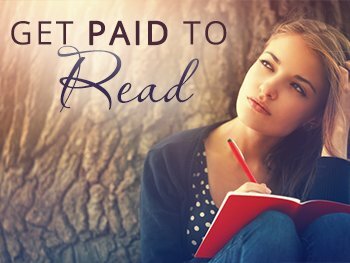 Her life is on the line, but Em finds herself dangerously falling in love. Adrian sul’Han, or Ash, is a trained healer, and has command of powerful magic. But he’s also out for revenge. 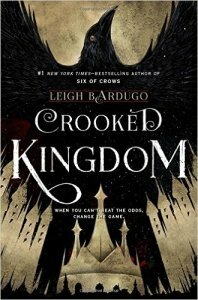 Forced into hiding after murders throw the queendom into chaos, Ash is determined to kill the man responsible for all of it: the cruel king Arden. He needs to use his powers to take a life, an excruciating choice that the healer must make. But the king has a mission of his own. The King’s Guard has launched a relentless search for a girl with a magemark on the back of her neck. And Jenna Bandelow, abandoned at birth, happens to haave that magemark. The Guard is searching for her, and though Jenna believes that it’s because of her being a saboteur, the truth is that it’s because of the curse she’s had since birth. Her path crosses with Ash, and together – with their shared hatred of the king – they will rescue each other, and find ways to restore what they need to restore. 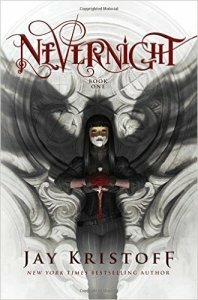 Lea Saldana is seventeen years old and a trained assassin. Born into one of the nine clipper Families in the kingdom of Lovero, and a member of the highest ranking clan, Lea knows that loyalty to Family is valued above all. But she’s in love with someone from the rival clan, Val Da Via, and this love is too strong to be ignored. Their relationship blooms, but Lea knows that she should expect a threat anytime soon. So when she awakens one night to a house full of smoke, she knows that this is it. She narrowly escapes the fire, but the rest of her Family die, and the one horrific possibility is something she doesn’t want to entertain: that it’s Val and his Family who are responsible. Now Lea is out for revenge, with one clear mission in mind: to make the Da Vias – and even Val – pay. On the island of Fennbirn, a set of triplets is born every generation, all queens and equal heirs to the crown. And each, a possessor of powerful, coveted magic. And triplets Mirabella, Katharine, and Arsinoe, are no different. Mirabella is a fierce elemental who has command of flames and vicious storms. Katharine is a poisoner, who can ingest deadly poisons without experiencing any effects. Arsinoe is a naturalist, and has the ability to bloom the reddest of roses and control the fiercest animals. The crown is theirs for the taking, but the three have to fight each other in a game of life or death in order to determine who will take the crown. The night of their sixteenth birthday means the start of their battle, and the last queen standing gets the crown. Miel and Sam are best friends, and are as strange as they are inseparable. Miel’s wrist is adorned with roses, and people say that she spilled out of a water tower when she was young. Sam, meanwhile, paints the moon and hangs in the trees, and no one knows much about his life before he and his mother moved to town. But the odd duo, no matter how strange, stay away from the Bonner girls like everyone else, because people think the girls are witches. Now they want the roses from Miel’s skin because they believe the scent can make anyone fall in love. And they’re determined to use every secret Miel has protected with all her life, to make sure that she gives them what they want. 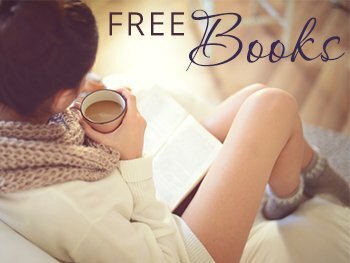 Bristal has believed all her life that she’s nothing quite special, and the fact that she’s simply an orphaned kitchen maid drives that home. 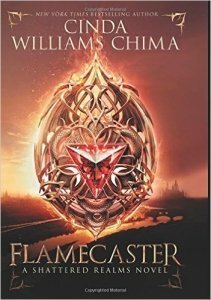 But then she discovers that she’s an elicromancer, who can shapeshift, and perhaps Bristal is not as simple as she thought she was. Because there are only three elicromancers in the world, including her, who have heavy responsibilities that they must take on. Bristal must make a decision and choose a path – to either seek the good of the world and protect mortals, or to bolster her own power, even if it leads to terrors unknown. Time is running out and dark creatures loom across the horizon. The world is on the brink of a supernatural war, and Bristal has to show her true form and find courage from deep within her in order to save kingdoms. Mia Corvere is an apprentice to the Red Church, the deadliest, most dangerous assassins in the entire republic – the only path that she knows could help her undertake the one things she wants the most: revenge. Her father, who had launched a rebellion when Mia was young, was executed as a traitor, and had turned her into the friendless and lonely girl hunted down by the Senate and by her father’s former comrades. Hiding in the shadows and speaking to them had led her to the door of a retired killer, however, and had set her on the path to become an assassin. But Mia has to face the treachery and trials that wait for her within the Church’s halls. Failing means dying, but Mia is determined to be inducted and become one of the chosen of the Lady of Blessed Murder, so that she may finally exact vengeance on her father’s killers. Princess Wilhelmina is prepared to take on her crown, but becoming the queen also means declaring war. Her magic is still uncontrollable, and now she has a living boy made of wraith prepared to do anything for her. She has to make a decision, but perhaps the throne doesn’t even matter, because the immediate threat of the wraith is slowly claiming and destroying Indigo Kingdom’s villages. The Princess’s power might just be something she could use to reclaim her kingdom, or else let it lie in ruin forever. Aelin Galathynius is determined to protect the people she loves. She has her warrior-prince by her side, to whom her heart is sworn, and she has the people she’s pledged to protect. But monsters from her past continue to appear, and dark forces claw their way into her world to claim everything. 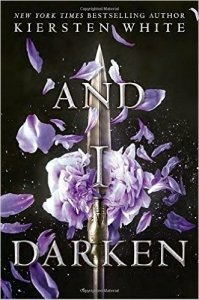 The only thing that Aelin can do is to go on a desperate quest – a quest that might mean the end of everything that Aelin holds dear. Princess Dennaleia has always known what to expect about her future. Betrothed since childhood to the prince of Mynaria, her marriage will seal the alliance between her homeland and her husband’s homeland, therefore protecting her kingdom from other hostile realms. 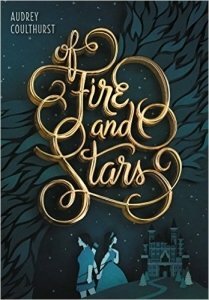 But Denna also has a secret – she has an Affinity for fire, too dangerous a gift for a princess and future queen living in a land where magic is forbidden. Now she must learn so much while keeping her magic a secret, understanding the ways of Mynaria and learning how to ride formidable warhorse before her coronation – taught by the prickly Princess Amaranthine, sister of her betrothed. But an assassination leaves the kingdom reeling, and now Mare and Denna have to help each other in order to catch the culprit. Working together develops a friendship between them, but as they continue on with their quest, they find that something more begins to bloom between them. But acting on their feelings is forbidden and will endanger their kingdoms and the alliance, and now Mare and Denna have to choose between duty and their hearts, to save their kingdoms and each other. Jax Wendyll’s punishment for the unspeakable crimes he has committed before is to become the crown’s dog, a conscript to the Empire Solaris. But the Empire is a peaceful place, and there is very little for Jax to do besides aiding the antics of the youngest prince, Baldair. When Jax discovers the legendary pirate Adela Lagmir’s old workroom, however, he finds a new path to take – to hunt for her long lost treasure. 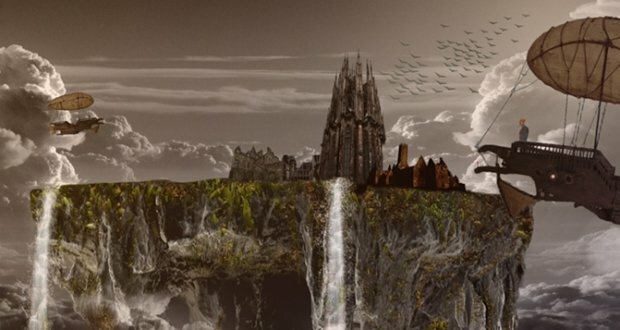 With the aid of Erion Le’Dan, a nobleman’s son visiting the Imperial Palace for the summer, and Prince Baldair, the three set off to the Imperial summer manor, a building built along the old pirate’s mainstays. But things take a turn when Adela’s trident is branded into a murdered servant, and the summer of fun that three had planned turns suddenly to a hunt to find the killer. Mysteries come out, one after the other, and it seems that Jax’s old ghosts aren’t the only thing that’s haunting them. 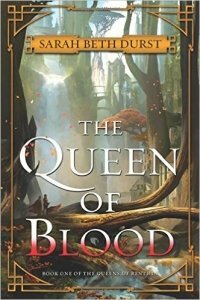 Daleina is a quiet academy student who doesn’t think that she has any claim to the throne, and all she wants is to right the wrongs plaguing the land. Ven is a disgraced champion who has been spending his time fighting against spirits, who want to rid the land of all humans. The attacks are growing relentless and the only one who can stand between the spirits and the end of humankind is the queen – which is why many are chosen to train as heirs. Now Daleina and Ven have to join forces to find the source of the spirits’ restlessness – a quest that will pit them against both enemies and friends, to save the land before it becomes bathed in blood. Sisters Ashyn and Moria are the handle and the blade on which the empire rests, there to be trusted by Emperor Tatsu to outmaneuver the evil Alvar Kitsune. But to do this, Moria has to ally with Gavril, one with home she has past grievances. 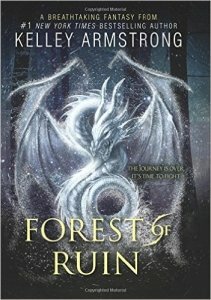 Ashyn, meanwhile, reunites with her long-lost grandfather and discovers that she is the key to a ritual that may be able to reawaken an ancient dragon and turn the upcoming battle in their favor. But lies and betrayal threaten the sisters, and they must know where their allegiances lie – and it might not be where their hearts would lead them. Seventeen-year-old Kol is aware of what his responsibilites are: to hunt, to gather, and to keep his family safe. It’s a life he’s well-accustomed to, but one that gets challenged by the arrival of Mya and Lo. Mya is a bold, enigmatic girl from the south, who captivates Kol. He’s determined to impress her, but makes a grave mistake. Kol doesn’t know that something is brewing underneath Mya’s cool disdain – a history of loss that gets revealed once another clan arrives. And with them is Lo, an enemy from Mya’s past, and someone who tells Kol that Mya has ulterior motives. Kol’s friendship with Lo escalates the tension between Lo and Mya, and now Kol – trapped between – is forced to question everyone he’s trusted. But he’s sure of one thing: this is a war that Mya and Lo have been planning all along. 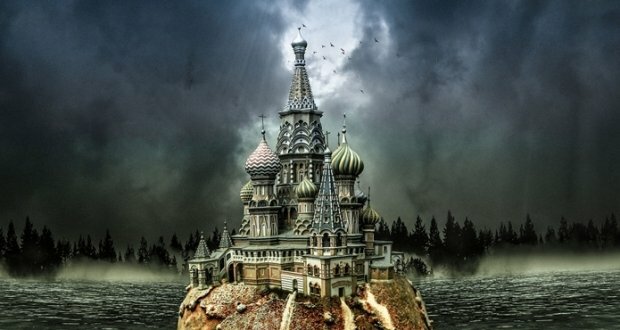 Vika Andreyava and Nikolai Karimov are the only enchanters in Russia – and one of them is needed desperately by the tsar, because the Ottoman Empire and the Kazakhs are fast approaching and proving to be deadly threats. 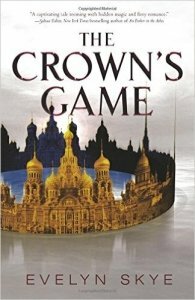 Thus, the tsar begins the Crown’s Game, a duel between two enchanters, with the winner becoming appointed as the tsar’s respected adviser, and the defeated being sentenced to death. Vika, who can summon snow, turn ash into gold, and has been living on the tiny Ovchinin Island her whole life, is eager to show off her talent in Saint Petersburg. 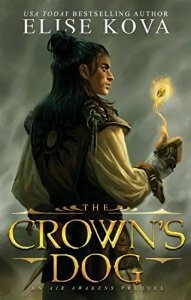 Nikolai, meanwhile, who can see through walls and conjure bridges out of thin air, is an orphan who sees that the Crown’s Game is the change of a lifetime. 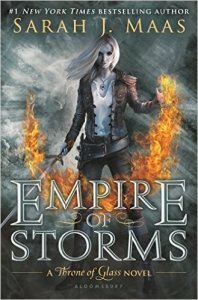 Vika isn’t certain if she can kill another enchanter – one whose magic calls to her, no less. Nikolai finds Vika to be a force to be reckoned with – and one who is beautiful and imaginative. 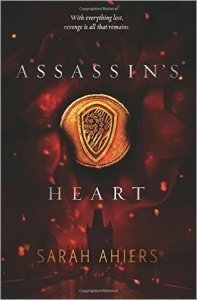 When Pasha, the heir to the throne and Nikolai’s best friend, falls in love for the mysterious Vika, Nikolai knows that he must defeat the girl they both love… or else be killed. 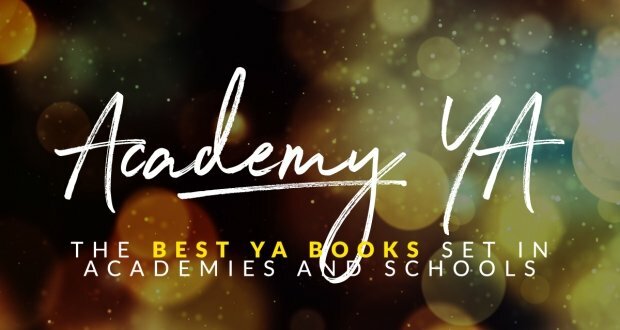 And those are some of the best YA fantasy books from 2016! 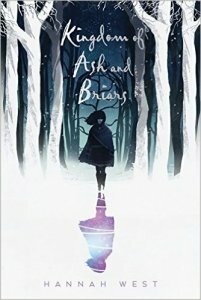 What other amazing YA fantasy books from 2016 would you recommend? Let us know!